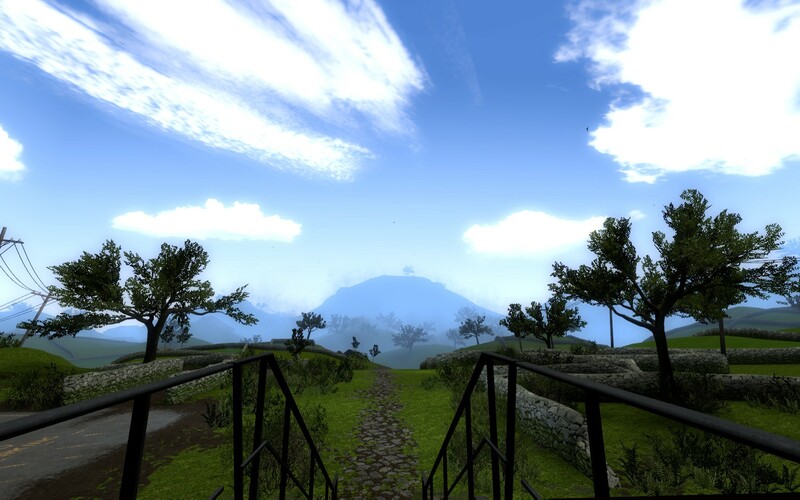 The Refined Geek » The Stanley Parable: The Fourth Wall Shattered. The Stanley Parable: The Fourth Wall Shattered. In today’s games market there seems to be something of an arms race going on, one whereby every developer attempts to distinguish themselves from the crowd through unique game mechanics or structure. Original ideas are then quickly copied, modified or parodied and many eventually find their way into mainstream titles due to the amount of success they find. However for a game like The Stanley Parable I get the feeling we won’t be seeing much of it’s ideas flow onto other games, not because they’re bad, more because they just wouldn’t make sense anywhere else. This nonsensical nature is the driving force behind The Stanley Parable and it’s probably one of the most odd experiences I’ve ever had. Stanley was an ordinary man working for an ordinary company. He loved his job, spending day after day in front of his computer, watching the screen and pressing the buttons when he was instructed to. However one day the screen goes blank and after staring at the screen for what seemed like forever Stanley decided he’d better find out what was going on. All of his co-workers were gone though leaving Stanley alone to roam the office, searching for what had happened to them all. Curiously though all the while a voice played inside his head, seemingly giving him a running commentary or what was going on. Should he do as the voice says or is this just the beginnings of his descent into madness? 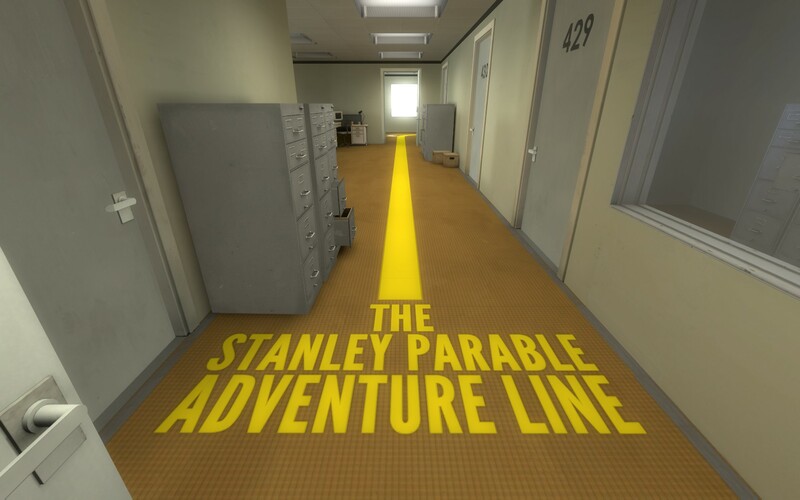 The Stanley Parable started originally started out as a mod for the Source engine and thus the graphics and art style have that distinct Half Life-y feel about them. They’re decidedly simple and the vast majority of the world is non-interactive which is done primarily to shift your focus onto the storytelling and decision making aspects of The Stanley Parable. It’s pretty much what I’ve come to expect from indie first person explorers so I don’t necessarily count it as a negative but I am something of an eye candy otaku so graphics are always a big thing to me. To be fair the setting of an office is pretty hard to make visually appealing though. From a gameplay perspective The Stanley Parable is best described as a first person exploration game although applying that label to it feels like its not doing the title enough justice. Really it’s more of an experimental title that uses exploration as a mechanic to explore various ideals from some of the current gaming trends to larger questions of free will. The entirety of it is narrated by a charming British voice (courtesy of Kevan Brighting) which tells you which path to take. You can do this of course and the story that evolves is quite an interesting one, but it’s far more likely that curiosity will get the better of you and that’s where things start to get interesting. You see The Stanley Parable is a game that relies on you attempting to break it in any way possible, from disobeying the narrator to attempting to do things that would appear to be not intended by the developer. The results of these adventures can range from the mundane, where you just see another part of the world on your way to another, to the weird or down right inexplicable. The most priceless thing about it though is how the narrator reacts to your decision to disobey him as sometimes he will just respond with mild annoyance and other times with outright maliciousness. 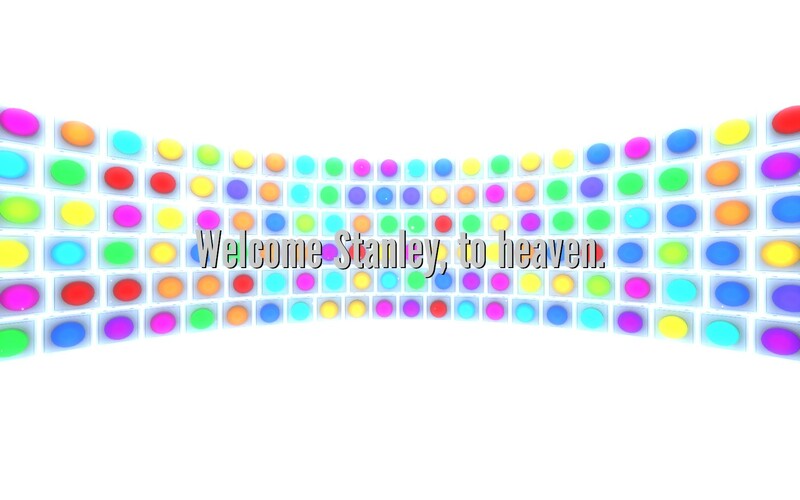 The story then starts to revolve around a weird cacophony of interactions, sometimes between Stanley and the narrator and at other times between you and the narrator with Stanley just acting as a vessel between you. If you’re not a fan of the fourth wall being broken down then The Stanley Parable will likely irritate you as there are many moments when the narrator will address you directly and a lot of commentary comes from the idea that you, an unknown entity, is in control of the character in the game. It can seem a little trite at times but the ideas and criticisms that the narrator goes through are quite through provoking, especially upon reflection. I’d love to dive into more detail about how the various bits and pieces of the game plays out but to do so would ultimately ruin it for you. The way in which various endings are unlocked, how some of the mechanics work and how the narrator reacts to you are all part of the larger narrative to explore themes that are much larger than the game itself. It’s not a particularly long game and most of the endings are easily uncovered by simply being slightly curious about the environment so this is one of those titles that you just have to experience for yourself, rather than have a reviewer explain it to you. The Stanley Parable is a curiosity, one that is so far away from any other game experience that it begs to be played by those who are seeking novelty in an increasingly homogeneous medium. It’s somewhat unfortunate that my review can best be summed up as “You need to play this and I can’t explain why” as I’d love to dive into a critique about its many aspects but to do so would take away the reasons as to why it is so enjoyable. It may be a short experience but it’s refined to its core, enabling the player to focus on the points that really matters and to get immersed in the strange and wonderful ways The Stanley Parable plays on your expectations. 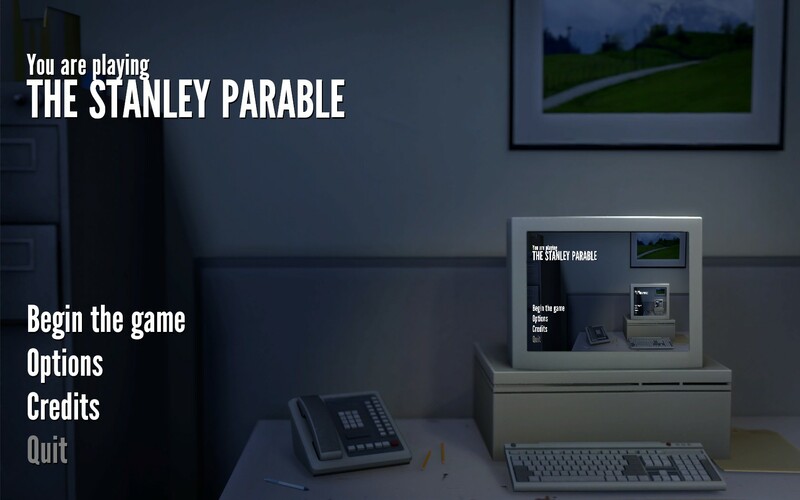 The Stanley Parable is available on PC right now for $15. Total game time was approximately 2.5 hours with 60% of the achievements unlocked. Pingback: The Refined Geek » The Beginner’s Guide: Where For Art Thou Coda? Pingback: The Refined Geek » When the Darkness Comes: The Search for Something That Doesn’t Exist.